Professor Farrell's interest in cultural studies has shaped his latest books, Post-Traumatic Culture: Injury and Interpretation in the 90's, and Berserk Style in American Culture. Professor Farrell has lectured here and abroad on literature and culture, and for the Ernest Becker Foundation on radical existential criticism, the psychology of violence, and social justice. He is a regular contributor to Psychology Today online. His work as a critic has shaped his graduate and undergraduate teaching interests. He has offered creative writing workshops and courses on Shakespeare as well as an interdisciplinary cycle of late Victorian and modern American fiction courses that explore the impact of modernism. Professor Farrell is the author of Play Death and Heroism in Shakespeare, Shakespeare's Creation, Women in the Renaissance, and other early modern studies, including The Mysteries of Elizabeth I, with K. Swaim. His recent books are The Psychology of Abandon, Berserk Style in American Culture, and Post-Traumatic Culture. He has also published several novels. 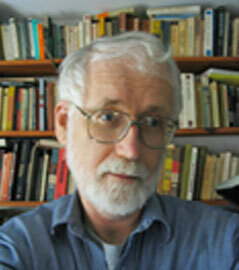 He is an editor of English Literary Renaissance and the European journal Kritikon Litterarum.